In your first year as an Otis College student, you’ll participate in our one-of-a-kind, immersive Foundation program. What you learn will serve you for a lifetime. 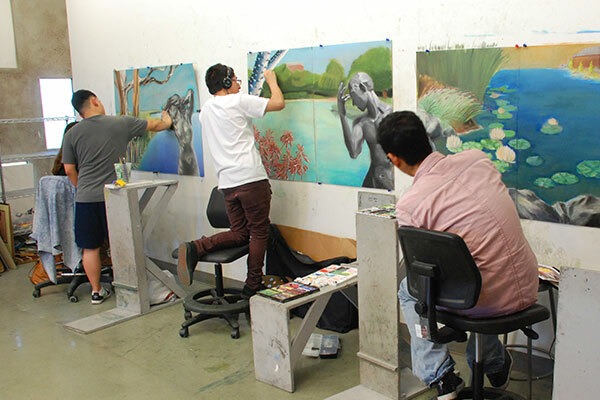 Our freshman students take a sequence of studio courses designed to teach you the fundamental skills and processes across all visual arts. You’ll become a well-informed maker, discover new ways of thinking and seeing the world. You’ll learn to ask new questions and develop your own creative practice. Foundation aims to enhance your creativity, refine your voice, and help you transform your ideas into final form. 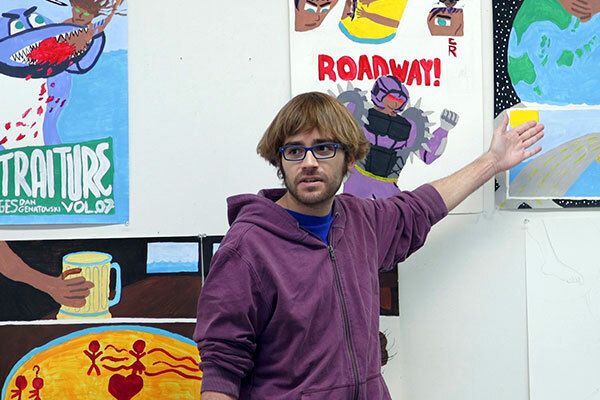 The studio courses in Foundation, your faculty, and events focused on the majors help you make the best choice for your future major and career beyond Otis College. During your first year, known as Foundation, you will experience an immersive program that promotes your success in college. Through inspiring studio and Liberal Arts and Sciences courses, you will acquire skills that are fundamental to all visual arts and the construction of meaning. 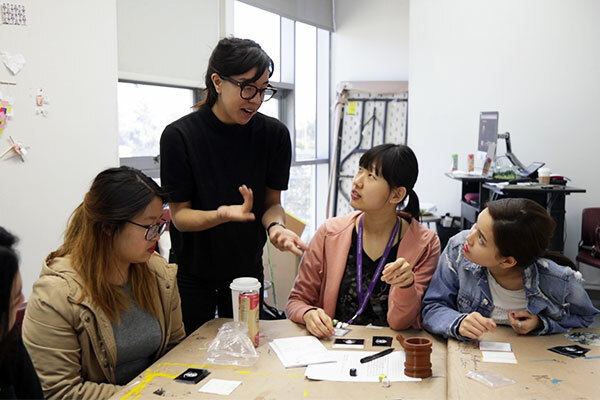 As adept, well-informed makers, you will examine new ideas, learn new ways of thinking, and ask new questions that will enhance your creativity, expression, and innovation. Visual and idea-oriented research will support your pictorial and 3-D compositions. Collaborative experiences in a learning community will ignite a spirit of investigation that will propel your education and practice. Frequent workshop demonstrations will help you to realize ideas you never knew you had. 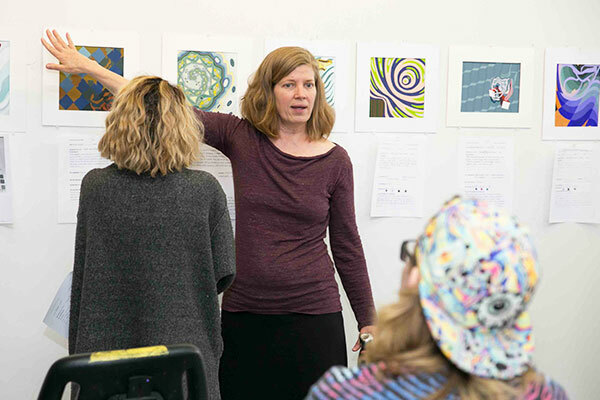 Close dialogue with faculty members will allow you to visually resolve your work, and discover working methods that will carry you into a major, serve you through college, and last a lifetime. Foundation Forward This spring event helps you select a program of study. You may elect to pursue a Minor by entering one program of study and taking a number of elective courses outside that program. Paris Trip Each spring break, a group of Foundation students travel to Paris for nine days to view art and design in an extraordinary urban environment. Acquire and apply Fundamental Skills, which include the ability to manipulate art and design fundamentals such as point, line, plane and form to create a resolved and well composed whole. Demonstrate Critical Thinking Skills including the ability to distinguish between and use rational, intuitive, and critical thinking processes and to construct meaning using visual information. Discern Visual Quality through identifying visual strengths and weaknesses to create content and construct appropriate resolution. Build Professionalism through strategies for success such as attentiveness to lecture, demonstration and direction, time management skills, including being prepared in class with the correct materials and turning in assignments on time. Develop Quantitative Skills including the ability to use sound principles of proportion to measure, calculate, and transfer dimensions of the observed and built world. Demonstrate the processes of Research and Investigation utilizing visual and textual resources as sources for inventiveness and novelty. 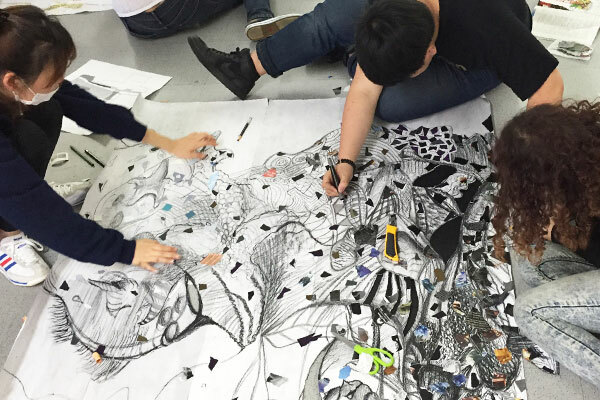 Develop an Awareness of Social Responsibility by working individually and collaboratively to consider the social and environmental impact of art and design. Learn more about undergraduate degrees offered by Otis in our view book, open with Page Viewer or Download (PDF). An overview of Foundation's courses with descriptions. Gallery of student projects and work. Foundation Forward provides two opportunities during the Foundation year for students to gather information and meet key people before selecting a Major to join for their remaining three years of study. Learn more about our first-year Foundation studio program as well as the supplies, books, and readers you'll be using. Meet the faculty members of the Foundation program. Have a question about the program? Contact us here.